Nice friendly staff. Work was done in good time good price very happy. Always fantastic service at your Bridlington branch. All the guys are friendly & helpful. Thank you. Staff knowledgeable friendly and helpful. Kia picanto tyres had to wait 24 hours to obtain them. Staff very friendly. went back in in the afternoon when asked (2-30pm) but sent away as the two staff had no room - snowed under. Returned at 4pm. New tyres fitted. More variety of reading should be made available - almost all about cars . Fast and efficient servive great value and the staff friendly n polite . Very good staff at Bridlington branch. Always cheerful. Tyre prices competitive. 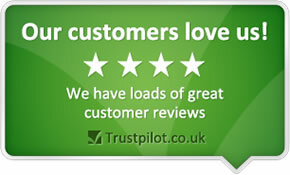 Brilliant service - cheaper quote than other well-known companies - good advice. Brilliant Service, Everything now spot on! Very helpful staff. Swift replacement. Knowlegable and friendly. Staff very good at their work and do a good job, quick and efficient. ordered on line and fitted same day briliant.